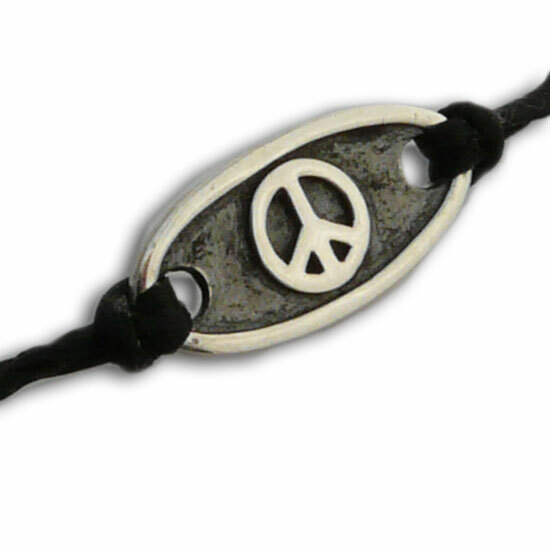 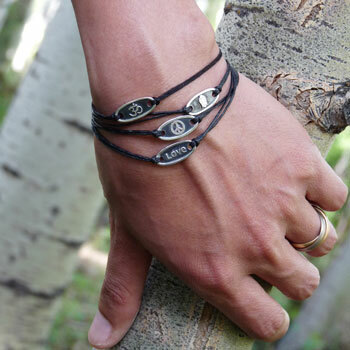 Waxed cotton bracelet with a Peace sign on a sterling silver plate. Sterling silver clasp. 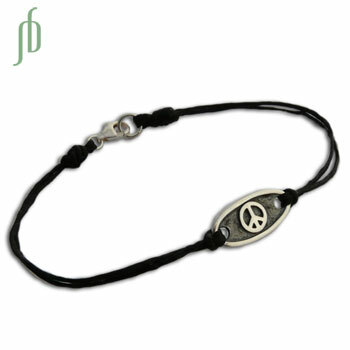 7.5 inches /19 cm length is great for men or women.